"Before last year, we were concerned that some aircraft were not being billed for landing fees, especially at night, when operations staff is limited," relates Airport Manager Jon Stout. 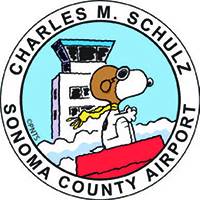 Previously, the field's fixed-base operators (FBOs), KaiserAir and Sonoma Jet Center, collected the landing fees and kept a 15% commission for their efforts. "The FBOs did the best they could," Stout explains. "One area we missed often: charters that drop off people and then take off right away. Some never even reported to the FBOs." Now, the process is automated via PlanePass, by Vector Airport Systems. 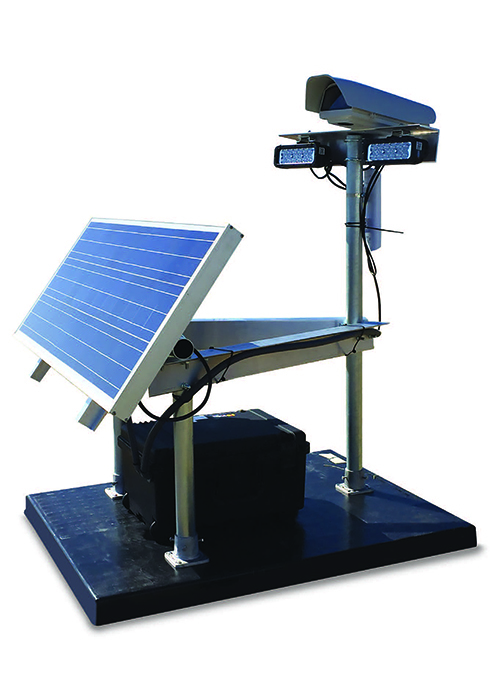 The system uses solar-powered, wireless camera pods to capture aircraft identification data, which it then integrates with flight tracking and flight plan data to confirm airfield activity. After determining the aircraft model and weight, PlanePass applies the fee structure established by STS, and then delivers invoices to the aircraft operator via U.S. mail or email. Aircraft operators can view and print invoices, and pay with a credit card via Vector's secure, web-based Pilot Portal. In addition to increasing the percentage of aircraft fees collected, the system provides airports with operational metadata such as date and time of flight activity, aircraft tail numbers, operation and aircraft type of airfield customers, runway activity, flight numbers and beacon codes. It also automates a traditionally laborious duty prone to human error. "It was an onerous activity for our FBOs. It took a lot of their time to do the billing for us," Stout says. "I do believe they were happy to get rid of that duty." Given its size and configuration, STS required six camera pods. Due to the airfield layout, airport and Vector staff agreed that it would make more sense to capture images of planes at rest on taxiways instead of while they landed. Cameras were consequently located along major taxiways near the runways, outside the runway safety areas (see photo on Page 30). Placing the cameras around taxiways rather than runways reduced the number of cameras required, notes Stout. Installation was carefully planned, he adds. "Before installation, Vector requested details about the whole airfield's geometry, prepared the 7460 forms [to provide notice of upcoming construction] and handled the FAA approval process. They shipped gear here, and assembled it on airport grounds. The whole process took maybe three or four days." Navigating Sonoma County's procurement process was probably the biggest hurdle in getting the system up and running, Stout reflects. "We usually have to go through a lengthy purchasing process," he notes. "For this project, we did a great deal of research and could not find any other vendors with the same services. We convinced our Purchasing Department to go with Vector, as only one bid proposal was received. They did their own research anyway, to justify the expense. It took a full year to complete the review." In the end, STS purchased the needed equipment for $116,500 (not including California state sales tax) and added a three-year maintenance plan for $15,000 per year. The airport also contracted Vector to handle its billing for 15% of the collected fees-the same arrangement it preciously had with the field's FBOs. Based on the increase in fee revenue the new system is expected to produce, Stout anticipates the airport to recover its equipment costs in less than three years. And cash flow for operations will remain unchanged, he adds. Pete Coleton, president and founder of Vector, notes that fees for using PlanePass vary depending on many factors. 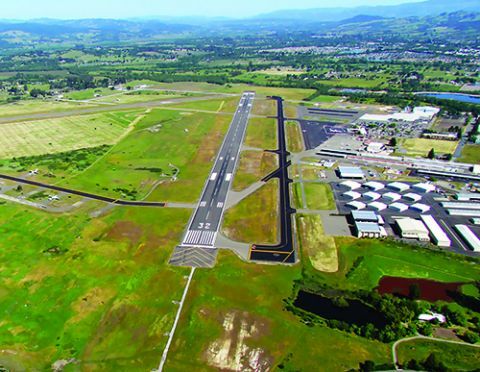 "Some airports prefer to lease the Vector system, while others, such as Sonoma, prefer to buy it outright. Some airports hire us just to collect aircraft identification and operations data. Tucson International hired us so they could count and identify military aircraft," he comments. "We work closely with airport staff to find the Vector solution that best solves their issues." At STS, the staff opted to charge departure fees rather than landing fees. "We did get some pushback from a few of our customers, because they were so used to paying for landing fees," recalls Stout. "Everything soon settled down once they got used to the new billing procedure." Under the new system, the airport does not charge permanent non-commercial tenants departure fees. "We did ask our FBOs for specific information about what aircraft were based at what hangars," says Stout. "Getting accurate information on this had previously been a challenge. The FBOs had to supply us with this info so their tenants would avoid paying departure fees, which they gladly did. This ended up being a really nice side benefit." Billing and collection processes are far more streamlined since switching to the automated system last spring, reports Stout. "Once a month, we get a detailed reconciliation report from Vector, with the aircraft numbers, time and date, type of aircraft, etc. It took us a couple of months to get everything running smoothly, mostly with proper identification of based aircraft, but now it is an effortless process." After an administrative aide from the airport verifies the accuracy of the current report, Vector electronically transfers funds for that month. "This happens very efficiently," says Stout. "It usually only takes 10 or 11 days from the end of the month." The funds and a copy of the report are sent to the clearinghouse for Sonoma County, the entity that oversees STS. Billing processes that used to take hours and hours now require about 20 minutes of report review, Stout reports. "Better yet, we are confident we are collecting 99 percent of the fees owed to the airport." Authorized airport employees also can use the collected data to verify aircraft visits, track down overdue aircraft and investigate noise complaints. Vector's Coleton notes that PlanePass uses proprietary hardware, software and processes. The system layers together multiple technologies because no single technology is perfect for accurately identifying all the aircraft using an airport, he explains. "For instance, flight tracking data is easy to get, but the quality of this data depends on the source, as well as the type of transponder on the aircraft," Coleton explains. "We rely primarily on our proprietary automated camera technology, and fuse the camera data with other information, including flight tracking and flight plan data. "Cameras are placed at choke point adjacent to taxiways and runways," he continues. "Invisible, infrared lights and IR-sensitive cameras are used to identify aircraft at night." The company customizes its equipment for various climates. In regions that regularly experience high temperatures, it adds sunshields to protect components. Systems installed at northern airports include extra batteries to help power them through long winter storms, and Vector makes sure camera pods are tall enough to see over snow banks. Coleton recommends the company's newest cameras, which focus on runways, for airports that want to identify training aircraft performing pattern operations as well as other more typical traffic. Beyond the technology of the PlanePass system, Coleton also stresses the role of Vector's customer service staff. "Aviation is a small world, and I want us to be known for good customer service," he says. "I truly believe that the difference between collecting the industry standard 80 percent, compared to 100 percent of what we bill for our clients, is being available to talk to people when they have questions." The company dedicates a specific staff member to assist large operators like NetJets and FlexJet, which fly regularly into multiple airports that use its system. Including STS, 20 U.S. airports currently using the PlanePass billing system; seven also use the company's VNOMS noise and operations management system.